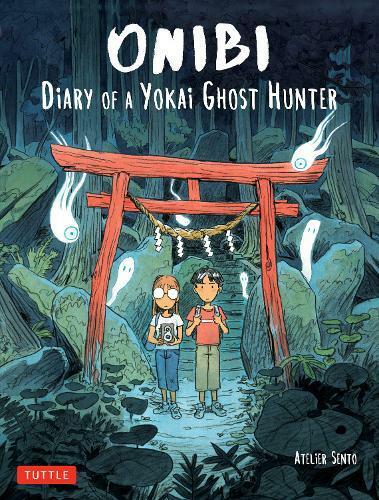 Part fantasy, part travelogue, Onibi: Diary Of A Yokai Ghost Hunter follows the adventures of two foreign visitors as they tour Japan. When they buy an antique camera along the way, they discover they can capture images of Japan’s invisible spirit world. The forgotten spirits they meet can be kindly, mischievous, and some, downright dangerous. Armed with their magical camera, they enjoy local foods in each region and meet with people who tell them about the forgotten spirits who lie in wait ready to play tricks on them. Yokai, the Japanese word for supernatural monsters, ghosts, ghouls, and demons can be kindly, mischievous, and downright dangerous. Readers 10-18 who cherished books like Cool Japan Guide and Diary of a Tokyo Teen will delight in this comic book style adventure. The graphic novel format will appeal to diehard anime and manga fans while stressing the importance this ancient spirit world is to the Japanese culture. Authors Cecile Brun & Olivier Pichard are French comic book artists known collectively as Atelier Sento. The work is translated by Marie Velde.